A millennia old city situated in the south west region of the UK, Bristol is hardly known for producing top-level motorsport talent. 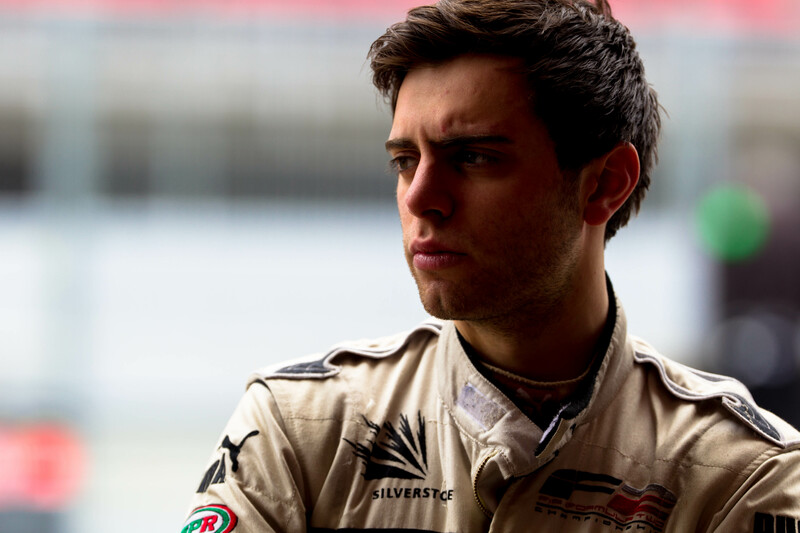 Indeed the city has never had one of its own grace Formula One – 20-year-old Dino Zamparelli is aiming to change all that. The 2011 Formula Renault BARC champion makes his GP3 Series début at this season’s opening round in Barcelona this weekend. A podium sitter in the now defunct Formula Two category last year, Zamparelli signed for the Marussia Manor squad in February and with the heat rising, the Anglo-Italian racing divulged his thoughts to TheMotorsportArchive.com about what to expect. The GP3 Series may prove something of a new test for all concerned this year thanks to the introduction of the latest chassis upgrades by Dallara – the GP3/13 – some three years after its predecessor’s début. Alongside that, series engine supplier, Renault, have dropped the original 2.0 litre turbo-charged unit in favour of a 3.4 litre naturally aspirated motor – a change that produces an 120 bhp to the category, increasing the engine’s overall output to approximately 400 bhp. Whereas the chassis and engine package has changed significantly, the Pirelli tyre compounds remain the same and in testing, the drop off in performance has been massive, with one driver informing TheMotorsportArchive.com a drop off of up to eight seconds in simulations. Power is something that seems to run in the Zamparelli household, although not strictly of the wheels variety. His father, Mike, was a powerboat racer, won the Embassy Grand Prix at Bristol in 1990, while also enjoying success at numerous other events. At times it can be easy to forget that GP3 is also a learning category – one of a number of preparatory steps for drivers aiming for the top tier of motorsport, yet the pre-season running proved a tricky prospect for all. Yet as much as the GP3 Series is another learning experience and step along the way to Formula One, the 20-year-old sees only one desirable result. “To win,” he comments emphatically, before adding, “I feel like I’ll be ready for the first race. I won’t stop working until I get what I want.” And with that, the start of competition closes in. The opening round of the GP3 Series comes this weekend from Barcelona’s Circuit de Catalunya.